In video, achieving engagement through a combination of image, sound, and storytelling - done well - can be easy. A one-minute video can be all it takes to trigger a student’s interest. But it’s the way in which this engagement is integrated with an educational focus, through guided actions towards certain results, that is key to an effective and efficient process. That ‘it’, then, is a theory that we have developed, and by which we abide when working on a project. 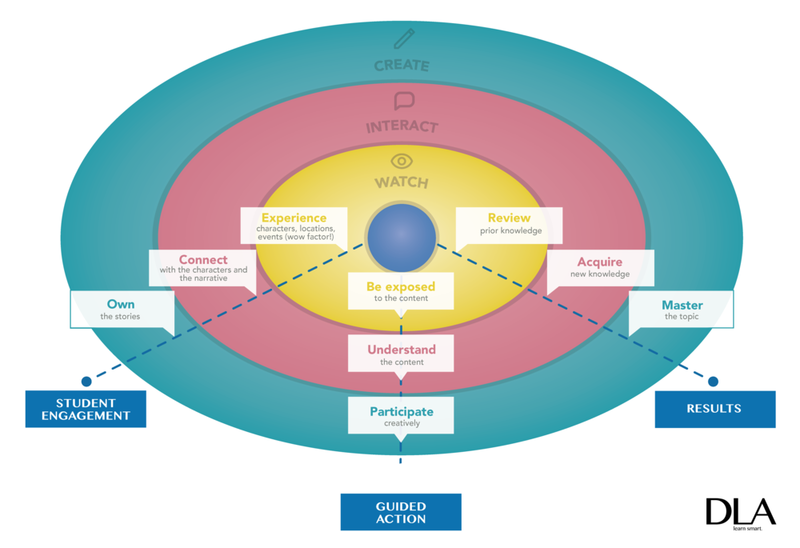 ‘It’ is the theory that only when one approaches creating a full learning experience as an exercise in seeing through that idea of integration, through video, through conversation, through exercises, through projects, through debate, through questions, only then will effective learning take place. ‘It’ is why we don’t see learning materials such as worksheets or teacher’s notes or projects as one-off entities. ‘It’ is why we don’t consider that the sole function of a video in a classroom is to be a treat after a busy term. ‘It’ is why we always recommend a video-first approach, liberated from the constraints of paper-based thinking. ‘It’ is Video Integrated Learning. We’re presenting our theory of Video Integrated Learning (VIL) tomorrow as part of our appearance at TESOL’s 2017 Convention in Rome. We’ll be explaining exactly how it works, and why thinking about video as the core of a wider learning strategy will make for better, more engaging, and ultimately more effective learning and teaching experiences. For more information about our appearance at TESOL, click here.